Chris Froome (Team Sky) won his third Tour de France title in Paris, riding through the final stage and onto the podium on the Champs Élysées. Froome finished the race four minutes and five second ahead of second-placed Romain Bardet (Ag2r La Mondiale), and 4-21 ahead of third-placed Nairo Quintana (Movistar). British rider Adam Yates (Orica-BikeExchange) topped off a breakthrough Grand Tour performance with the white jersey of best young rider and fourth place overall. Peter Sagan (Tinkoff) topped the points classification, with team-mate Rafal Majka in the polka-dot jersey of the King of the Mountains. André Greipel (Lotto-Soudal) took his second consecutive victory on the Champ Élysées to take his sole stage win in the Tour. He sprinted ahead of Sagan, with Alexander Kristoff (Katusha) in third. The 2016 Grand Départ saw the riders leave from the picturesque Mont-Saint-Michel in Normandy on July 2, with a stage finishing in Utah Beach to commemorate the D-Day landings. The stage was won by Mark Cavendish (Dimension Data), and would prove to be the first of four stage victories. Cavendish would also wear the coveted maillot jaune of race leader for the first time in his career. The race headed south from Normandy, eventually arriving in the Pyrenees and onto Andorra for the race’s first high mountain stages. On stage eight, Froome launched a daring downhill attack, distancing all of his rivals to take the race lead. The yellow jersey would then stay with him through the remainder of the race, as it headed east through the Alps. Froome was peerless in the mountains, as his main rivals appeared unable to come up with an answer: pre-race favourites Nairo Quintana (Movistar), Richie Porte (BMC), Fabio Aru (Astana) and Alberto Contador (Tinkoff) all suffered – with Contador forced to abandon the race on stage nine after injuring himself in a crash. 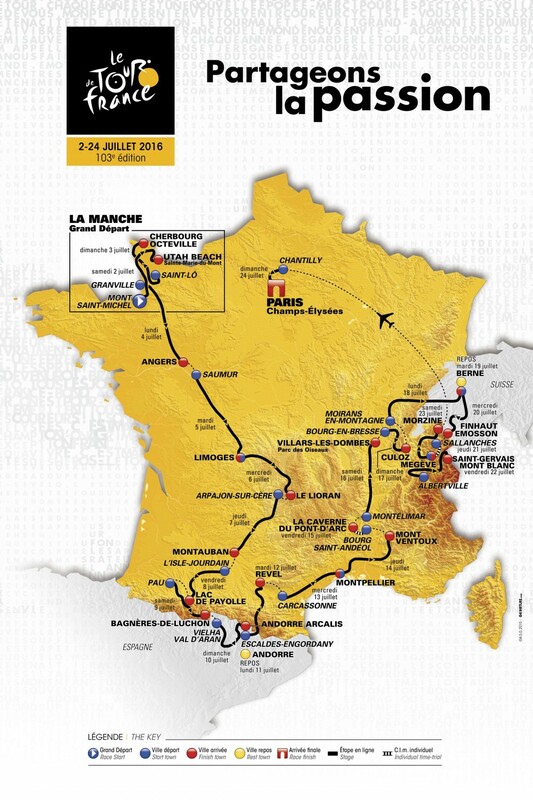 Who are the commentators at the Tour de France 2018? Which team won the most prize money at the Tour de France?